AimBrain, founded in Edinburgh, is the mobile biometric authentication platform. It helps banks and payment processors to know if their users really are who they say they are. Its software tracks and learns how people interact with mobile devices, from typing speed to where they wipe. 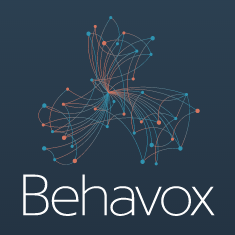 “Behavox offers a behavioral analytics software, designed specifically for the capital markets trading environment. The software has been proven to radically improve the efficiency of surveillance teams and detect foul play that other legacy systems are not equipped to notice.” – claimed by Behavox. Barzahlen is a fast-growing German Fintech comany which provides a cash payment solution to online shopping, playing and travel booking. Its vision is to be a replacement of the classic bank branch. Its network is over 9000 stores and expanding 3000 REWE stores more last year. Bitnet offers the first Bitcoin payment processor for both merchants and PSPs. Founded in Belfast by a highly experienced team, and with offices in the US, Bitnet has already partnered with several payment processors and large e-commerce websites, including Zooz, Limonetik, and Japanese e-commerce giant Rakuten. In 2015 it forged its largest partnership yet with PAY.ON, enabling Bitcoin acceptance for over a hundred PSPs globally. Algomi’s Honeycomb system helps banks create a virtual balance sheet based on actual bond data – including trade information, enquiries, and holdings – and lets buy-side firms see this validated virtual balance sheet at the banks. This information and distribution insight is not available anywhere else. In just 12 months, Algomi signed 150 buy-side firms and 15 banks in APAC, US and EMEA to Honeycomb. Former Thomson Reuters CEO Tom Glocer joined as a strategic adviser in March 2016. Founded in 2011, ‘the world’s most popular Bitcoin wallet’ now has 6 million users, $30.5m funding from investors such as Lightspeed and the title ‘London Scale-up of the Year’. In 2015 the first Bitcoin company to hit 5 million users, doubled the number of transactions processing through its wallets and APIs, opened new offices in London, New York & Luxembourg and was named one of ‘the Best Companies in the World to Work for’. BehavioSec’s algorithm verifies who someone is based on how they naturally interact with their device and delivers instant identity verification, along with continuous authentication. 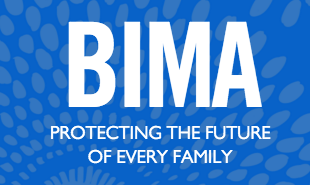 Customers of Bima typically live on less than $10 a day and fewer than half have bank accounts. The Swedish Microfinance pioneer has developed a bespoke portfolio of over 40 microinsurance & mobile health products which it distributes in emerging markets such as Ghana for as little as 35 cents a month using mobile technology and an agent network. Its expansion across emerging markets in Africa, Asia and Latin America has served over 20 million customers in just five years and it currently attracts 500k new customers per month. Cognia’s secure cloud-compliance solutions help enterprise customers in verticals such as finance, energy, healthcare and retail to capture, record, control, analyse communications and protect payment-card data. Backed by investors that include Vodafone and Swisscom, it was the first company to develop enterprise-grade mobile recording solutions and achieve PCI DSS Level 1 accreditation globally on the Amazon Web Services cloud platform. Contego founder Adrian Black worked with the police, AutoTrader, eBay and others to create VSTAG, an industry forum to combat fraud in automotive advertising. Whilst chairing VSTAG, Adrian gained an understanding of sharing data and intelligence to verify entities and highlight fraud risks; this led to a pilot project and was the seed that developed into a first iteration of Contego. With partnerships including IBM, Amazon Web Services, C6 Group, Contego has invested heavily in recent months to strengthen its international data sets. It was accepted into Accenture’s 2016 Innovation Lab cohort and announced two major initiatives: integrating Bureau van Dijk (BvD) international company data; and expanding its Creditsafe offering to cover 20+ markets. Having someone’s mobile, getting hold of their pin and biometric fingerprint is still not enough to impersonate someone,says Callsign. The platform’s military-grade security, with over 50 analytics captured and processed in realtime, delivers a powerful cyber intelligence capability that provides a clear view of which user, at which location and on what device, is performing a given transaction. Credit Benchmark brings soughtafter credibility to a credit risk market renowned for opacity. By aggregating and anonymising credit risk estimates of the world’s largest banks, the company creates consensus credit data and analysis that directly reflects the views of banks’ own risk teams. This unlocks the insight of organisations with assets in the trillions and with tens of thousands of credit analysts. Founded in 2014, the London based business raised $20m Series B financing in 2015 and launched its operation in the US. Bought By Many uses the power of the collective – ‘crowdbuying’ – to negotiate better deals from insurance companies for large groups of customers with niche needs. As well as collecting a slew of innovation awards, the social insurance solution now has over 143,000 members over 277 groups, and saves members an average of 18.6%. Digital Shadows has come a long way since the Accenture Innovation Lab London in 2011, announcing a $14m Series B funding round in February. Its flagship product, SearchLight, is a continuous real-time scan of more than 100 million data sources online and on the deep and dark web – cross referencing customer specific data with the monitored sources to flag up instances where data might have inadvertently been posted online, for instance, or where a data breach or other unwanted disclosure might be occurring. The service also monitors any threat-related chatter about the company, such as potential hackers discussing specific attack vectors. Elliptic Vault is the world’s first insured Bitcoin custody service and the first Bitcoin company to receive a global standard for financial reporting. Its proprietary identity database delivers auditable proof of identity for over 10,000,000 addresses. Clients have used the platform to assess risk on more than $1bn in transactions, generate suspicious activity reports, and prevent fraudulent transactions. Everledger uses the technology behind bitcoin – the blockchain – to tackle the diamond industry’s expensive fraud and theft problem. A graduate of Barclays’ TechStars’ 2015 London cohort, Everledger has partnered with different institutions across the diamond pipeline, including insurers, law enforcement and the 10 diamond certification houses across the world. In February 2016, it announced a strategic partnership with Britannia Mining to reduce risk and add greater transparency in diamond procurement..
Dublin-based Fenergo helps institutions manage the end-toend regulatory onboarding and entity data management processes. In 2015, it received the biggest ever investment in an Irish Tech ($75m) and announced plans to float on Nasdaq by 2018. This year, the five-year old business announced a 3-way alliance with Markit and kyc.com to deliver a highly optimised client lifecycle management process that will help financial institutions to significantly improve regulatory and onboarding efficiencies and reduce operational costs. It also opened a Singapore Office and signed Nikko Securities as a client. FundApps’ cloud-based regulatory compliance monitoring watches $1tn in assets each day. It also provides a true service rather than just software. An experienced regulatory team stays up to date with all the relevant worldwide regulation coding it into software so clients don’t have to worry about it. And cloud-based services means clients have zero IT spend. FundApps won Europe’s largest listed fund manager as a client last year, as well as one of Canada’s largest pension funds. Matrix, Five Degrees’ next generation banking platform, continues to be a game-changer for banks looking to update their IT infrastructures. The Netherlandsbased business provides corebanking solutions that are lower cost, faster and which deliver more transparency and insight. In 2015, Five Degrees won four major new clients, including its largest account to date, expanding from its native Netherlands into German and UK markets. 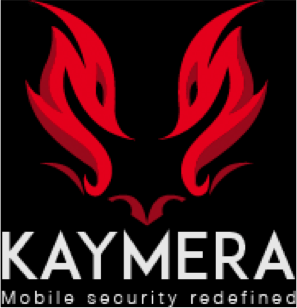 Founded by veterans in the cyber industry, Kaymera delivers a highly sophisticated defence system to protect organisations, governments and individuals from all mobile security threats, while supporting freedom of use on popular smartphone models. In February 2016, it announced a $10m funding round as it continues to secure business from tier-one banks, and includes governments, global law firms and family offices among its fast-growing client base..
InvoiceSharing provides SMEs with a low-cost invoice accounting platform that doubles as a platform for invoice financing. The Rotterdam-based business’s Accounting Robot won the “most innovative solution for accountants 2016” at the Getwalk event in The Netherlands. With a name derived from the Latin word for trust, Fidor has been reimagining banking since 2009. In Germany, the online bank has around 100,000 clients and more than 300,000 community members who actively participate in the bank’s decision-making processes – a strategy that underpins Fidor’s innovative platform. In September 2015, Celent’s “Model Bank of the Year” launched in the UK. It also announced a current account that is free to open and run and made a contactless debit card available for the first time in 2016. Working capital was in shorter supply when Iwoca launched in 2012. The lender has now issued over £70m to 4000+ businesses across the UK, Poland, Spain and Germany with issuance to new customers increasing by 360%. Annual revenue now tops £5m and the London-based company raised $20m equity in a Series B round in July 2015, with a stated ambition to lend to at least a million businesses across Europe within a decade. Last year, the firm opened its creditas-a-service to Alibaba to offer trade finance to small businesses importing from China and Iwoca says its goal of lending to at least a million businesses across Europe within a decade defines its ambition. .
Having taken three and a half years to hit $1bn in transactions, the London-based FX management solution hit its next billion dollars in just eight months. With more than 1,700 corporate clients, 70+ employees and growth of over 200% in 2015, Kantox was also the first financial institution to integrate free and automatic SWIFT messaging into its service, allowing complete traceability of funds transferred. It also secured $11m investment in Series B funding. Knip’s mobile insurance manager bundles customers’ insurance products into one app which had seen 330k downloads in Germany and Switzerland by Oct 2015. Customers get an overview of their insurances, see how much they have to pay for each one, when they have to pay and for how long their insurance contract is valid. 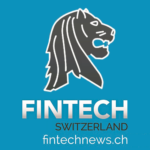 The Swiss start-up also secured $15.7m Series B, the largest FinTech investment in Switzerland to date. Knip builds its own backend and data science to automatically provide advice on better, cheaper and missing insurance coverage and by being a full stack broker that owns the entire insurance broker process. LendInvest turned a profit (£3.1m) for the second time in just two years of trading. The UK P2P short-term mortgage lender has lent over $738m since summer 2013 and expects to top $1.4bn in lending during 2016. Significant achievements in 2015 include securing the UK’s largest ever FinTech Series A investment ($30.9m) and receiving the European P2P industry’s first credit rating. LendInvest also maintained its average annual return of c.7% per annum and grew capital inflow across all investor groups (both institutional and retail) from quarter to quarter. Monetas’ advanced cryptotransaction technology uses a Blockchain secured digital notary to enable all kinds of financial and legal transactions, public or private, worldwide. In 2015, the Zugbased business partnered with the Tunisian Post Office and DigitUs to offer nationwide access to instant, secure, and affordable merchant payments and remittances. Monetas is currently working with several African partners to provide coverage to 12 markets in 2016. These partnerships will bring more than 300 million people into a future of financial inclusion. Mambu began life in 2011 as a service for those not reached by traditional banks. In 2016, it provides core-banking software and infrastructure to financial innovators and retail banks. 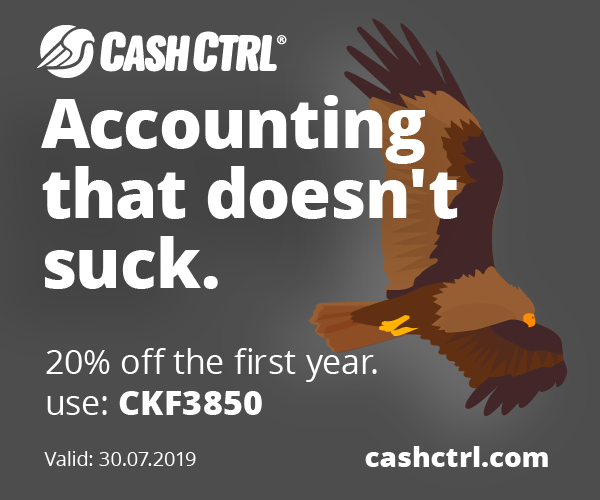 In the last 12 months it has won 30 new customers and added new functionality, including support for various SME and P2P lenders. As part of a global growth strategy, which saw it attract $8m investment in 2016, Mambu plans to expand its commercial team, increase investment into the platform and open further offices to support growth in Asia and the Americas. Meniga’s white label software gives banks the building blocks to help speed development of online banking platforms. Already serving 35 million+ consumers in 16 countries, the Icelandic FinTech signed a global framework agreement in late 2015 with Santander Group to implement its PFM solution in 10 core markets. And in 2016 it launched a new service, Dialog, which allows banks to engage with customers using highly personalized advice and product suggestions. . The Personetics Predictive Analytics platform empowers banks to analyse vast amounts of customer data on-the-fly to accurately identify and anticipate individual customer needs. In January, the Tel Aviv based company with offices in London and New York announced that it had signed several seven-figure contracts with major global banks and card issuers that will extend the deployment of its personalised digital banking technology to over 15 million users. Onfido’s technology enables companies to carry out remote reliable background checks. For developers, its innovation lies in being able to quickly integrate these services with apps or websites, allowing developers to easily add background checking. The London-based business now employs 72 people across offices in London, San Francisco, and Lisbon – and has over 625 customers, including Onefinestay, Deliveroo and the NHS. The smartphone-first German “Bank of the Future” won 80,000 users within one year of launch and expanded into 6 new European territories. The digital bank is already defying a key FinTech trend by “re”-bundling, forming strategic partnerships with other FinTechs, including Barzahlen and TransferWise. 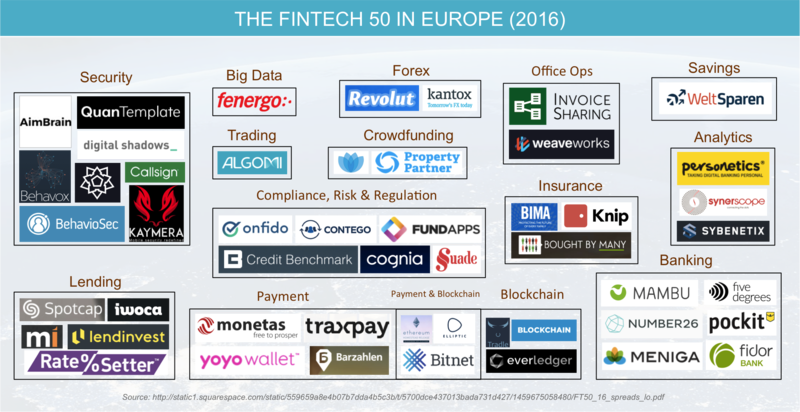 Tieups with other financial services are on the cards, as Number26 looks to become an essential financial gateway across Europe.. Backed by Allianz and Anthemis Group, and formed by experienced re-insurance executives, QuanTemplate emerged from Barclays Techstars’ first cohort in 2013 and secured $7.8m Series A investment September 2015. Through QuanTemplate’s secure web-based platform, underwriters and brokers can conduct all operational activities required to trade in the $4.6tn insurance market (6.7% of global GDP), while optimising their risk in real-time, all the time. With $140m disbursed to date and 4000 students funded, Prodigy Finance considers itself a social enterprise. 75% of its student borrowers come from the developing world and 34% from BRIC nations alone. The majority return to their home countries after graduation, bringing back global business networks and learning to develop their home regions. So far, Prodigy Finance has funded at least 8 entrepreneurs who have created jobs in, India, Canada and the UK. MarketInvoice lets businesses sign up, sell an invoice and draw down funds on the same day with no contracts, hidden fees or personal guarantees. In 2015, the invoice trading platform saw its strongest ever month, which saw businesses using the service raise over $30m, and collected nearly £270m in repayments. It also passed key milestones of £600m worth of finance lent, and 10,000 separate loans to UK businesses. Customers now use MarketInvoice on an average of over 13 times per year, and with a default rate of just 1.9%, and a crystallised loss of 0.03%, it is providing strong returns for investors. Property Partner allows anyone to invest in an individual property of their choice, with as little or as much they wish, so that they can own a share, receive rental income and access capital growth. As of March 2016, the London based business, just over 12 months old, had crowdfunded 170 properties with a total of more than £25m invested on the platform. 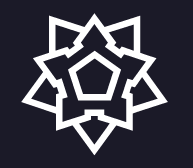 Over £4m had been invested on its unique secondary market, which allows investors to trade property shares with other investors, and exit the market at a time and price of their choosing. Pockit provides underserved and unbanked consumers in the UK an account into which they can get salary/benefits paid or fund with cash at 28,000 locations in the UK. A card allows them to transact online and on the high street, pay bills and share money with friends/family. The London-based business now has 60,000 customers and processed £30m in 2015 – a year which saw it grow 500% on almost every metric: customers, money in, money out, balances held on account and revenue. Pockit also signed distribution partnerships with two housing associations in the UK and one of the largest recruitment companies to allow its temporary contractors (200,000) to get paid into Pockit accounts. It took SavingGlobal 15 months to get its first two banks onboard. Now it has more than 25,000 registered clients with more than €700m in deposits, and 12 partner banks from 10 countries with more than 60 products. The first online marketplace for European deposits, Raisin offers customers better deposit rates than an average bank, and gives banking partners from the EU/EEA access to Europe’s largest savings pool. Using onetime customer identification, a single online banking interface and a selection of reliable, stable product providers, the Berlin-based business will expand into Europe in 2016 under the Raisin brand, whilst retaining the Saving Global (Weltsparen) name in Germany.. Compliance teams use Sybenetix Enterprise Behavioural Analytics to analyse all trades and unusual behaviour, automatically flagging and investigating suspicious activities. In the past year, the London-based FinTech has added tier-one banks and the world’s largest hedge fund to its client base. It also secured a coveted place on Accenture’s Innovation Lab in Hong Kong. Revolut’s mobile foreign exchange makes travel money a thing of memory – together with the fees that accompany it. The free (for now) service offers foreign currency exchange at the interbank rate, combining a card + app available across 23 currencies. The Revolut app also has a host of applications for those sending money overseas. As of January 2016, 81,000 users across 150 countries had transacted $182m, saving approximately $15m between them. Revolut also topped Which? Magazine’s chart for the best FX rates. Spotcap assesses the real-time performance of businesses to grant short-term credit lines and loans to SME businesses. The company uses credit-scoring technology that directly evaluates real-life business data to provide fast and flexible financing. Headquartered in Berlin, with local offices in Madrid, Amsterdam, and Sydney, the Rocket internet-backed company raised its third funding round in 18 months when it secured €31.5m in February to further fuel international expansion. Investors have lent over $1bn through RateSetter, establishing it as one of the most successful platforms in its field. In 2016 it also became the first marketplace lender to publish details of how its Innovative Finance ISAs will pay when they launch in April 2016. The Innovative Finance ISA is a new form of ISA which gives lenders access to tax-free returns from the money lent via a P2P site. RateSetter has four different products offering terms ranging from one month to five years with interest rates of up to 5.7%. Big Data pioneer SynerScope sees data as a means, not an end. The business is winning clients in Banking, Insurance, and Cyber Security and has partnerships with Amazon, Google, SAP and Dell. SynerScope develops technology stacks designed to deal with the evergrowing variety of structured and unstructured data and partnered with Hortonworks for Hadoop. City regulatory experts believe Suade’s platform could revolutionise the entire process chain of regulation from publication to implementation. 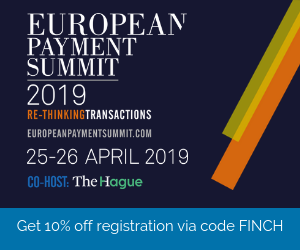 Founded by Diana Paredes (ex Barclays) and Murat Abur (ex Nomura), Suade designed its technology specifically around regulatory concerns, allowing banks to achieve continuous compliance, manage their costs and easily conduct analysis. Suade’s software also aims to help smaller banks, which are disproportionately hit by regulatory costs. Ravelin examines visitor and payment data in real time, telling systems which customers to allow, prevent or flag for review. From an idea in January 2015, Ravelin has acquired 13 staff, 2 rounds of funding totalling £1.6m from leading FinTech investors, and a customer base of 12 companies, including some of the leading names in the on-demand economy. On the technical front Ravelin has built a super-scalable platform on the cloud, and developed ML models that are reducing fraud by over 50% MoM. Tradle puts the user in control of their KYC process and data using the blockchain. An alumnus of StartupBootCamp’s FinTech Accelerator, Tradle launched its first app, Trust in Motion (TiM), to allow users to start a secure line of communications and go on-therecord to exchange documents, verifications, attributions and agreements. Resulting records are stored securely and irrevocably with global permission-less access and high resilience to hackers, spying and take down demands. 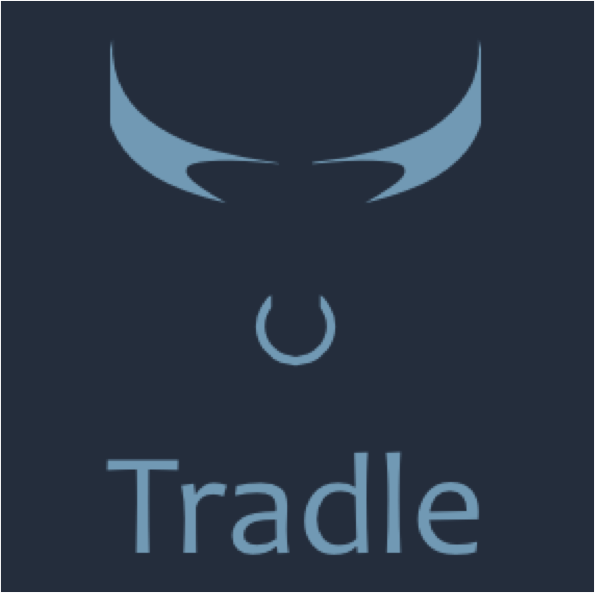 Tradle claims to be the first solution to put the user in control of their KYC process and data, and allow banks to make that process and data easily auditable to regulators. Yoyo lets users automatically collect points and stamps without the hassle of having to think about it. Users instantly receive vouchers for rewards and in-app purchases, and get digital receipts sent straight to their phones. For the retailer, Yoyo provides insight and the integrated marketing tools they need to reach targeted customer segments, drive sales, increase revenue, and offer an elevated customer experience. Yoyo Wallet is the fastest growing and largest multi-retailer mobile wallet in the UK and recently won Retail Systems’ 2015 Mobile Technology System of the Year. In July 2014, Yoyo was named as one of the Top 10 hottest startups in London by WIRED UK magazine. Traxpay moves real money in real time, delivering the rich data businesses need to get transparency and control over their transactions. It is integrated directly into existing ERP, purchasing and invoicing systems, enabling a complete endto-end solution for B2B transactions. Traders on B2B networks using its solution can change any and every element of a payment transaction at any stage of the process, from the moment a payment instruction is initiated, straight through to final settlement and clearing. London-based Weaveworks enables dev/ops teams to create, monitor and control microservices without lock-in to one specific container platform. Weave stands the traditional infrastructurecentric model on its head. Instead of provisioning infrastructure and then fitting applications to it, Weave starts with an application and moulds the necessary infrastructure around it.